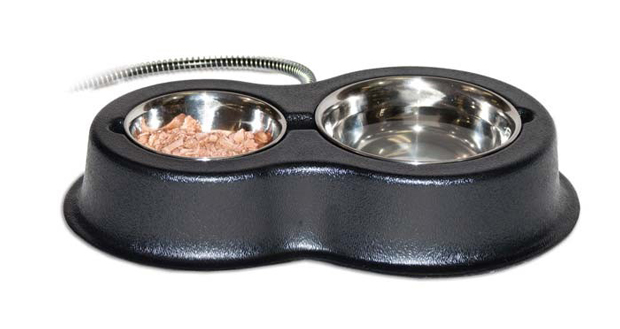 K&H Pet Products Thermo-Kitty Café Black 14" x 8.5" x 3"
Outdoor cats can now enjoy fresh wet food and drinking water, even in sub-freezing temperatures. 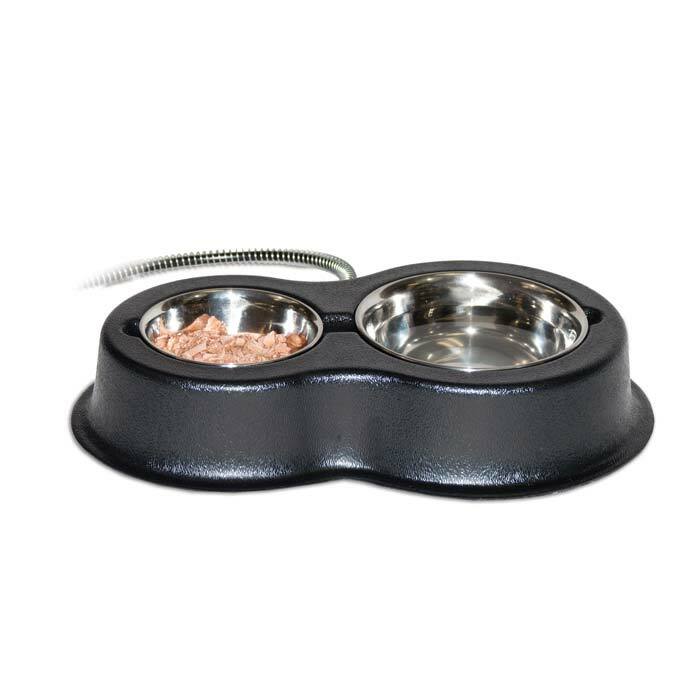 The easy to remove stainless steel bowls are dishwasher safe. Both sides of the unit can be used for food, water or one of each. Dimensions: 14" x 8.5" x 3"
14" x 8.5" x 3"